Applanix, a Trimble Company, last week introduced an updated version of its POS LVX system, which provides high-accuracy positioning and orientation for the operation of autonomous ground vehicles. The POS LVX can be integrated with cameras, Light Detection and Ranging (LiDAR), RAdio Detection and Ranging (RADAR), and other sensors to provide accurate Positioning and Orientation System Estimation (POSE) for localization, perception, and the production of high-precision maps critical for autonomous vehicles. The announcement was made at INTERGEO 2017, the world’s largest conference on geodesy, geoinformatics and land management in Berlin, Germany. The POS LVX is available as a turn-key or OEM GNSS-Inertial solution that supports dual-antenna heading for high accuracy in dynamic conditions, according to the company. Autonomous vehicles require accurate heading information immediately and in all phases of operation from stop-and-go traffic to highway speeds. 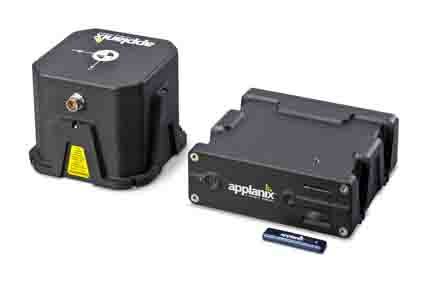 With a compact footprint, ease of integration and fast setup, the POS LVX uses on-board inertial sensors calibrated with the Applanix SmartCal software compensation technology designed to deliver superior performance to meet the needs of autonomous vehicle manufacturers in mining, trucking, mapping, and vehicle testing. The POS LVX product uses low noise multi-frequency Trimble Maxwell GNSS receiver technology, and tracks all current commercially available GNSS satellite signals including GPS L1/L2/L2C/L5 and GLONASS L1/L2, QZSS, BeiDou, NavIC (IRNSS) and Galileo, and supports SBAS, RTK, and Trimble CenterPoint RTX positioning modes. 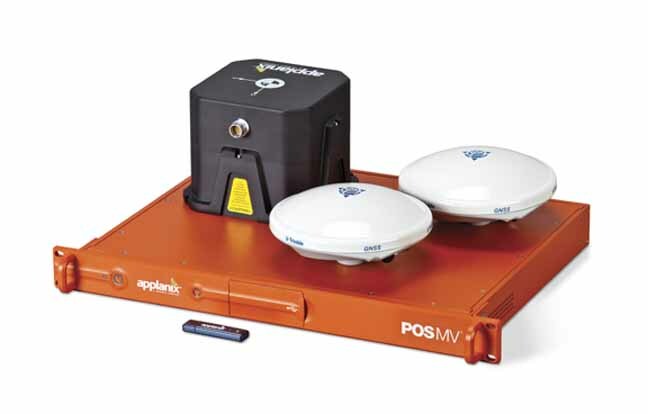 All POS LVX products can be used with Applanix POSPac post-processing software to generate high-accuracy carrier-phase differential GNSS-inertial position and orientation for high-accuracy map products and analysis of real-time autonomous vehicle performance. POSPac supports single GNSS base station processing with automatic coordinate survey using Trimble CenterPoint RTX, multi-single base station processing, optional Applanix SmartBase Virtual Reference Station processing as well as CenterPoint RTX post-processing trajectory generation available as a subscription. The POS LVX is expected to be available worldwide in the fourth quarter of 2017 through the Applanix sales channels.